On November 7th, 2017, Texans once again voted to make drastic changes to home equity laws with the passage of Proposition 2. This was due in large part to the powerful bank lobby efforts (and careful wording of the proposition). Now some of the strongest consumer protections in the country are gone so banks profit. We outlined the changes to the law and how they impact first-time borrowers who take out a home equity loan after January 1, 2018 in our previous blog “How Home Equity Borrowing in Texas has Forever Changed.” One significant change in the law is the ability to refinance a home equity loan into a non-home equity or conventional loan under Article XVI, subsection 50(a)(4) of the Texas Constitution. The “once a home equity loan, always a home equity loan” mantra is gone, but is that a good thing? According to the banking industry, consumers will benefit from the lower interest rates that conventional loans have over home equity loans. Well, how nice of them to offer to give up some of their profit to help consumers. Suspicious of an ulterior motive? You should be! Truth is that with this option, banks have another excuse to refinance your loan and earn new fees. So first they talk you into using your home like a cash register to borrow money to “consolidate debt” (pay off bills on things you couldn’t afford) and pull out some cash to buy more things you couldn’t otherwise afford. Then, after you pay on your new debt for a year, they call you up with a new option – to refinance that old home equity loan into a new conventional loan at a lower interest rate so you save money. Sounds good, right? Yes, you can likely obtain a lower interest rate on a conventional refinance over a home equity loan. But a lower interest rate doesn’t guarantee you’ll pay less in the long run. You must factor in the cost of the refinance and determine what your breakeven is. For example, if you can save $50 a month in interest and it costs you $3,500 in fees to close the loan, it will take you 70 months just to breakeven. Will you still be there in 70 months? But there’s a bigger concern than fees. 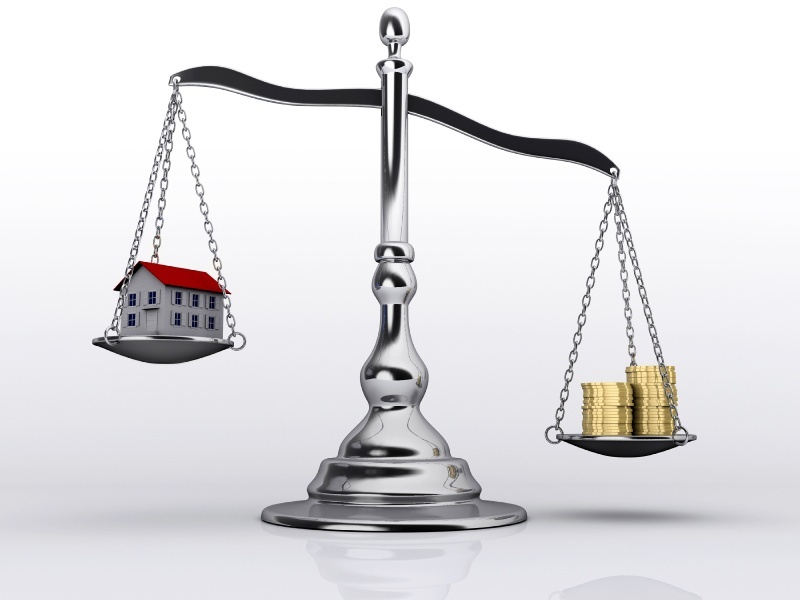 Think about why banks offer lower interest rates when you refinance out of a home equity loan. It’s because you are giving up something that the bank wants – the ability to easily foreclose and sue you for any deficiency should you go into default. Few people take out a loan planning to go into default, but if there’s sickness, death, divorce, job loss, etc., there will be mortgage defaults. One of the safety measures put into place with the advent of home equity loans in 1997 was the requirement that the loans be non-recourse; which means that the banks only remedy to collect on a loan in default is to foreclose on its collateral – your home. Sure, losing your home is bad enough, but with a conventional recourse loan, the bank can foreclose and sue you for the deficiency, should there be any. Another safety measure that’s gone if you refinance out of a home equity loan is the requirement for banks to obtain a judge’s permission before they can post your property for foreclosure. This provision requires the lender file an Expedited Foreclosure Application against the borrower. The borrower is given the opportunity to file a response with the court and argue their side to a judge before the foreclosure order is given. This process is not required with a non-home equity loan, and without it, a foreclosure can happen really quickly! Read more about the foreclosure process in Texas. So, before you rush out to refinance, consider if it is worth it. Will you really save any money, and will what you save be worth the protections you’ll be giving up?